12.5mm (1/2″) and 19mm (3/4″) x 15m spring rewind hose reel. mount to wall, ceiling, floor, tank or truck. 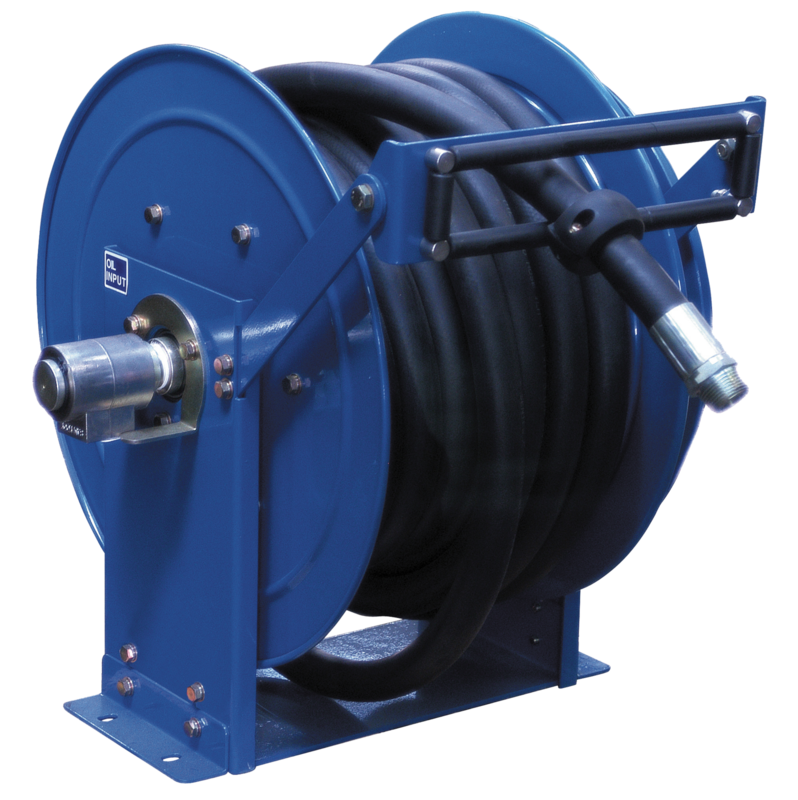 25mm (1″) x 20m spring rewind hose reel. Twin pedestal supports for added strength and stability. 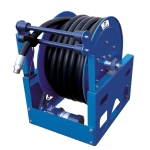 25mm (1″) x 20m hose hose reel operated by either pneumatic, hydraulic or 24 Volt electric power. Twin pedestal supports for added strength and stability. 25mm (1″) ID x 15 metres hose. Heavy duty containerized and gasketed spring assembly ensures a long working life. Ball bearing shaft seals. 12.5mm (1/2″) and 19mm (3/4″) x 15m Single arm hose reels. 12.5mm (1/2″) and 19mm (3/4″) x 15m Supreme duty double arm hose reels. Heavy duty hose reel. Floor, wall and ceiling and truck mount.